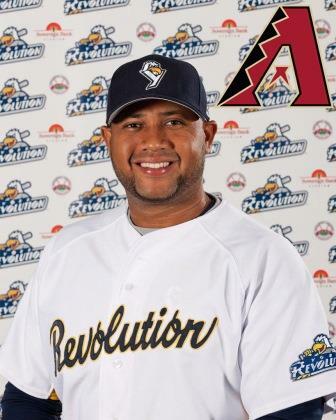 The York Revolution is proud to announce that former third baseman Andy Marte, of the 2013 club, has been called up to the Major Leagues by the Arizona Diamondbacks. Marte’s contract was selected from Triple-A Reno of the Pacific Coast League on July 31, following a pair of trade deadline deals. Outfielder Gerardo Parra was traded to the Milwaukee Brewers, and infielder Martin Prado to the New York Yankees creating the need for Marte on Arizona’s Major League roster. Marte’s return to the big leagues is due far more to his recent performance however, than it is the timing of other transactions. His numbers the last two seasons in York and the PCL made his MLB return more a matter of when, rather than if. In 96 games with the Revolution last season, Marte batted .301 with 19 home runs and 74 RBI. His contract was purchased by the Los Angeles Angels of Anaheim on August 4, and assigned to Triple-A Salt Lake. Marte batted .362 for Salt Lake with six home runs and 18 RBI in 26 games, but a separated shoulder in the PCL playoffs ended up costing him what seemed like a certain September call-up to Anaheim. He elected to sign as a free agent with Arizona prior to spring training as a non-roster invitee in Diamondbacks Major League camp. Before being assigned to minor league camp, Marte homered off Los Angeles Dodgers ace Zack Greinke among other highlights, making it clear he would likely figure into MLB plans before the season was over. At Reno this season, Marte batted .330 with 13 home runs and 62 RBI in 102 games. At the time of his promotion, he was getting on base at a .384 clip and slugging an impressive .513; of his 124 hits so far this season, 41 were for extra bases. The news is not great in the aftermath of the collision between Southern Maryland outfielder Jermaine Mitchell and Salvador Paniagua at the plate on July 30. The Revolution catcher sustained a separated left shoulder on the play in a 4-0 loss (watch above, at the 40 second mark), and is expected to miss around a month of action, give or take. The hope is Paniagua will be able to return during the regular season, which ends on September 21, and be available for the postseason. 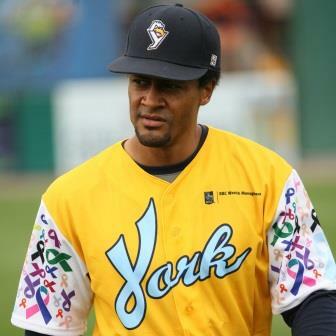 In Paniagua’s absence, York has signed familiar face Sandy DeLeon as an emergency back up. This is DeLeon’s third stint with the Revolution in such a role. He played in 18 games for the Revs in 2010, and was on the roster for six days last season but did not appear in a game. DeLeon, 34, is a veteran of 13 professional seasons and will remain with the team through Saturday’s game (August 2) at Long Island. On August 3 Angel Flores will join the club, replace DeLeon and likely share time with incumbent Alberto Espinosa behind the plate for York. Flores, 27, is in his 10th professional season. A product of the Detroit Tigers organization, he ascended as high at Triple-A Toledo in that system in 2010. 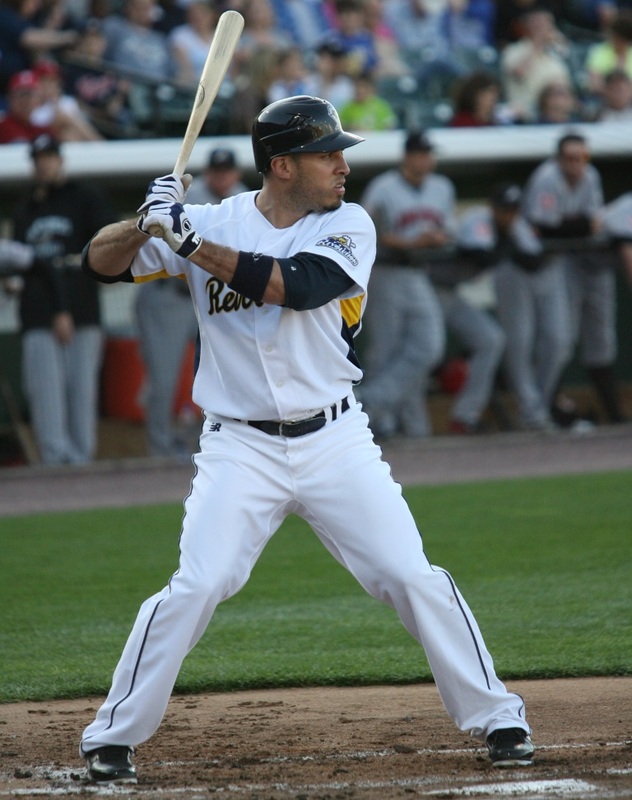 The journeyman has also made two stops in the Atlantic League, appearing in 51 games for Bridgeport in 2012 and 40 games for Lancaster in 2011, for whom he hit .311. Last season, Flores hit .263 with six home runs and 38 RBI in 92 games as the primary catcher for Grand Prairie in the American Association. While it was a temporary setback when former Lancaster (’11) pitcher Jerome Williams was designated for assignment on July 1 and ultimately released by the Houston Astros, he was quickly scooped up by AL West rival Texas on July 11. Two weeks later on July 25, the Rangers called him up from Triple-A Round Rock to start at home against Oakland, having already called up Ryan Feierabend on July 12. The transaction cemented a first in the “War Of The Roses” rivalry which was born in 2007; for the first time a former York and Lancaster player are on the same MLB roster at the same time. Ironically, Williams had been coming out of the Astros bullpen, but is now in the Rangers rotation. Feierabend, who had been starting at Round Rock has appeared in six games out of the Rangers bullpen since being called up, at the time of this post. However, everyone is in the big leagues, so I doubt anyone is complaining about their role. Williams was successful in his first start: 6 IP, 5 H, 1 ER, 0 BB 4 K in a 4-1 win over the A’s. The Revolution has added a pitcher with Major League experience in two seasons. Dan Cortes is officially under contract, and will likely come out of the York bullpen. Cortes, in his ninth professional season, was primarily a starter for the first six seasons of his career but hasn’t started a game since 2010. 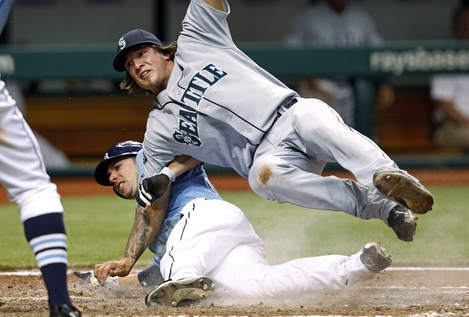 It was that season he garnered his first MLB experience, appearing in four games out of the Seattle Mariners bullpen. He earned a larger cup of coffee in 2010, when he came out of the Seattle bullpen 10 times. Cortes, 27, has moved around a lot in his career, spending last season with the Diamondbacks and Padres organizations. He was originally with the White Sox after being selected out of high school in the seventh round of the 2005 draft. By the end of his second pro season in 2006, he was traded to the Royals, before being flipped again to the Mariners in 2009. Cortes has posted some nice strikeout numbers in his career; he joins York with 684 career punch-outs in 732 minor league innings. He’s struck out nine in 16 Major League innings. Cortes posted five consecutive 100-strikeout seasons from 2006 to 2010 as he moved from Class A to the Majors. 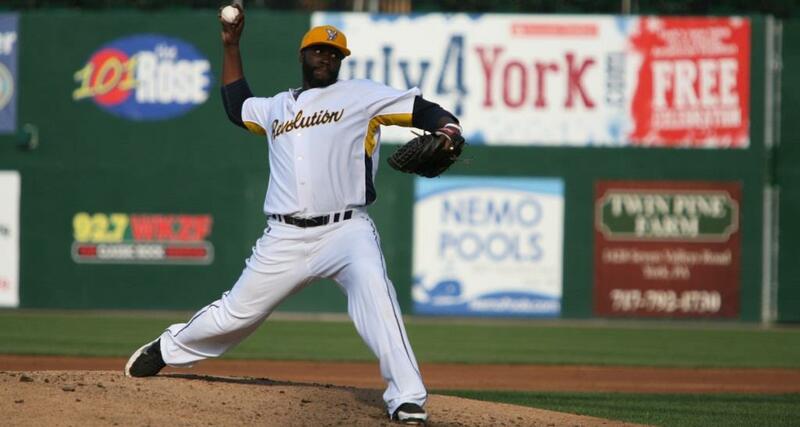 With 62 wins since arriving in York in 2008, Corey Thurman is essentially the winningest starting pitcher in Atlantic League history. He’s 12 wins away from the all-time wins record. It was a night of ties at Clipper Magazine Stadium in Lancaster on July 28, but not the kissing-your-sister-type. With a 5-2 win, the Revolution clinched at least a tie in the 2014 War of The Roses, taking a 10-5 series lead. After a 12 games to eight triumph last season, the win ensured the Community Cup will reside in York for consecutive offseasons for the first time ever. The Revs need just one more victory in the final five meetings to win Cup outright two years in a row, which has never happened. The only other time it’s been retained was when Lancaster kept it with a 10-10 tie in 2012 after winning it in 2011. Otherwise, it’s always alternated cities. After falling behind 2-0 in this year’s series, the Revolution have now won 10 of 13 games against the Barnstormers, with a 5-4 mark in Lancaster. They’re 5-1 in York, after the five-game sweep back in May. Tommy John surgery for a position player is rare, but a UCL injury and the subsequent grueling rehab following surgery is what kept Revolution infielder Travis Garcia on the shelf most of the 2012 season and all of last year. After playing most of the last five seasons with the Southern Maryland Blue Crabs around stints in the Mexican League and with the Seattle Mariners at Double-A, Garcia elected a fresh start with York when he decided to come back this year, re-uniting with Mark Mason who had Managed him in the Frontier League in 2005 and 2008. Unfortunately, the Atlantic League does not recognize a “Comeback Player of The Year” award, but if it did, such honors would already be locked up. Not only is Revolution IF/OF Eric Patterson the new single-season Atlantic League triples champion with a remarkable 55 games to go in the regular season, the record-setting triple ended up sparking a rally in York’s 50th win of the season, moving a season-high 15 games over .500 on July 25 at Somerset. Down 3-2 in the eighth, Patterson tripled off the left field wall and later scored on a Travis Garcia RBI single to tie the game, and the Revs later won 5-3, allowing Rommie Lewis his 23rd save of the season to become the Revolution’s all-time single-season leader in that category as well. With 14 triples on the season, Patterson surpasses the shared mark of 13 by Wayne Lydon (Camden, 2009) and Lloyd Turner (Lancaster, 2008). Figuring he legs out a few more this season, his record may be safe for a while. As a Major Leaguer, Patterson has seven career triples between 2009 and 2011 with the A’s, Red Sox and Padres. He had six triples for York last year in the first half of the season before signing with the Milwaukee Brewers, and Patterson’s 20 Revolution triples are already the franchise career record, which he took over on July 3 and now holds by seven triples.